The hood is a button-in design, with drawcord adjusters, flannel lining, and a fur ruff. It is a one-piece covering for the head, face, and neck. 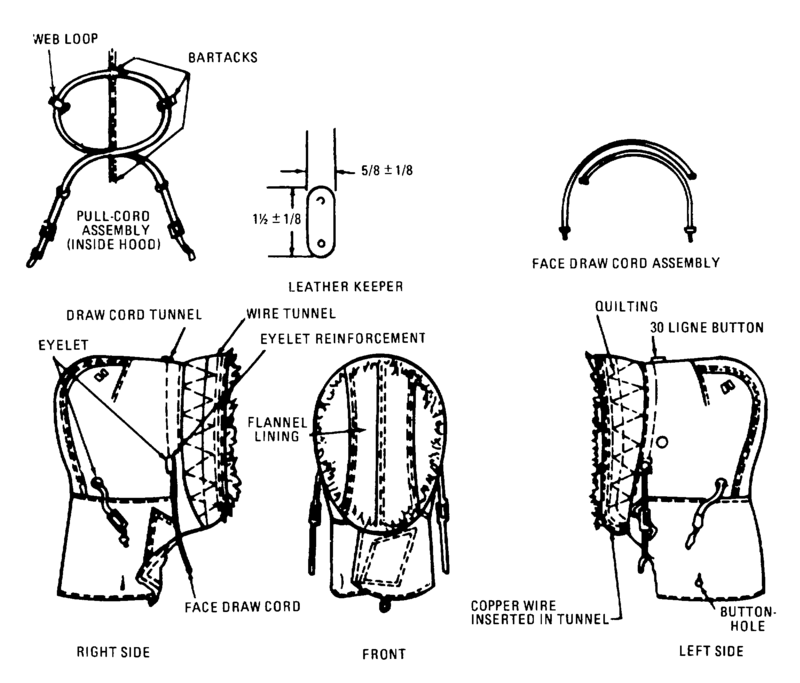 It utilizes touch-and-close fasteners and can be worn over the steel helmet. A malleable wire inside the fur ruff may be shaped as desired for visibility or greater protection of the head and face. Fasten skirt buttonholes to 4 button on inside of garment (only 2 on coat). Turn garment and fasten 2 storm curtain buttons to collar. Faten side storm curtain buttonholes to shoulder loop buttons on coat. Secure stud on skirt to socket on inside of garment. Secure loop to coat button. Not required for Parka. Align storm curtain and skirt buttonholes and fasten to 4 inside parka buttons. 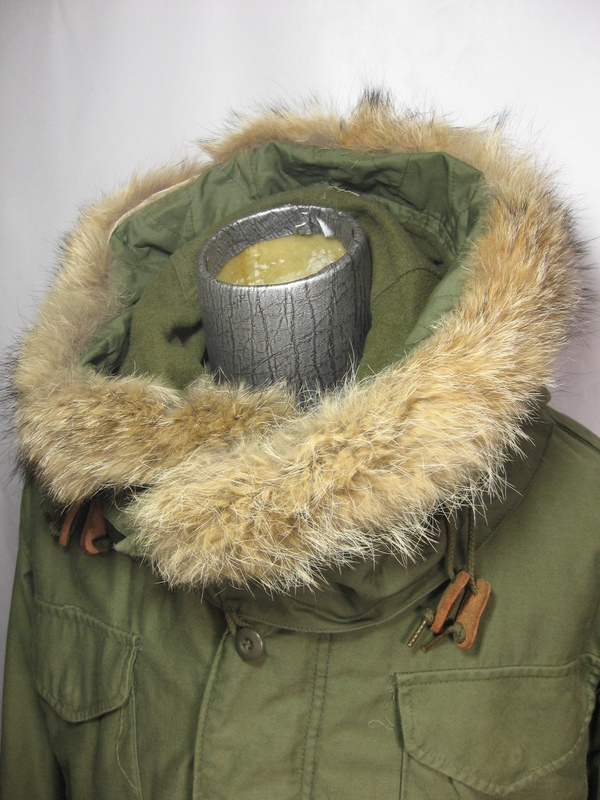 Pull parka hood over insulating hood and secure crown buttons. Adjust parka hood drawstrings. This hood is large enough for wear over steel helmet. Parka hood is not. Omit step b. when wearing helmet. Adjust hood drawstrings for comfort, securing keeper to maintain fit. adjust hood brim for maximum protection. Open front closure or remove hood from head for ventilation. Shake frost accumulation from fur frequency. Launder hood by hand, shake out water and air dry; or machine launder in accordance with Wool Method, Formula II, TM 10-280, except air dry. The basic material for the hood is cotton warp and nylon filling oxford, Quarpel treated fabric conforming to MIL-C-3924.